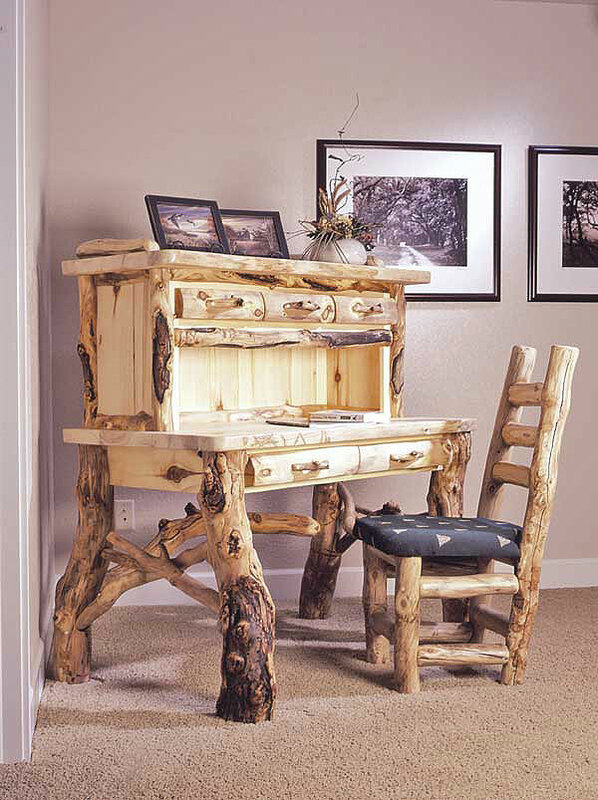 If you work at home occasionally or regularly, can you imagine a more wonderful setting than your Mountain Woods log furniture home office ensemble? The hours will fly by as you keep your feet grounded in nature while your head and hands work with all of your twenty-first century electronics. 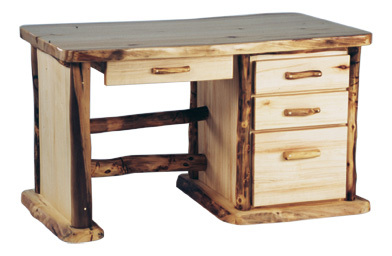 We marry traditional craftsmanship with modern amenities, such as keyboard trays and computer-friendly designs, to make our office furniture functional as well as naturally beautiful. Our wide assortment of desks will make it easy for you to select the perfect home base for your needs. 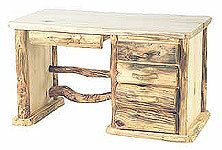 For some, our aspen or pine log desks are used to pay bills on occasion. 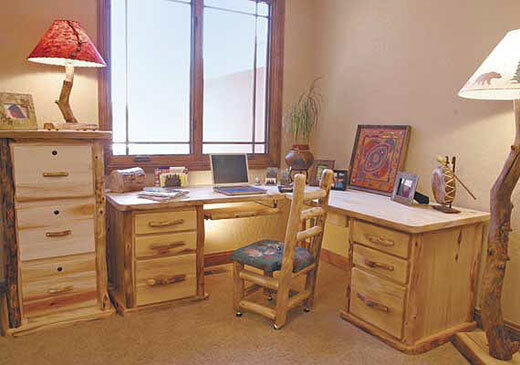 Other desks are regularly called to service to catch up with work from the office. 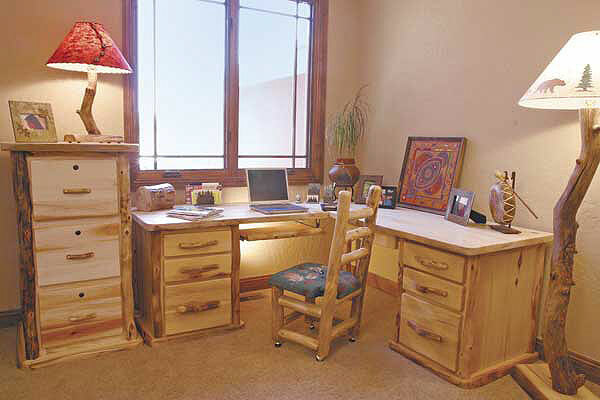 And, many of our customers, whose home offices are their primary workspace, have found their Mountain Woods Furniture log desk, accompanying file cabinets and bookcases make their business or practice just a bit more unique and fun. 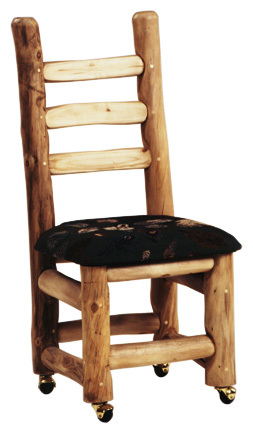 Of course, some businesses have been completely outfitted in Mountain Woods aspen log furniture—making it thatmuch more fun and interesting for the employees and customers to be surrounded by nature. These firms also like the idea of providing tangible proof of their commitment to ecology and sustainability. 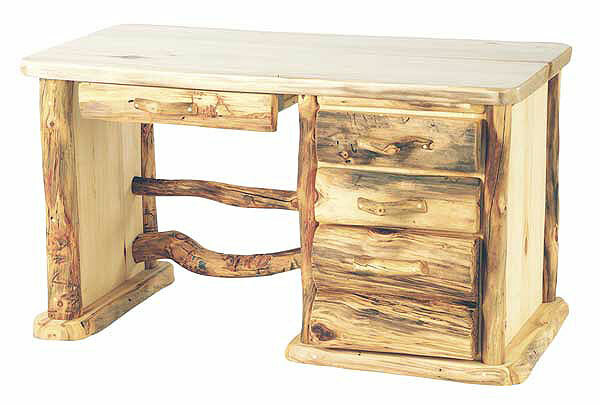 For those with a creative flair, our funky legged desk with hutch provides a workspace unlike any other! 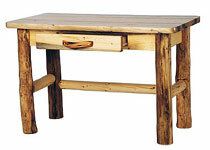 And, our student desks provide a great addition to your young—or not so young—student’s rustic log bedroom. 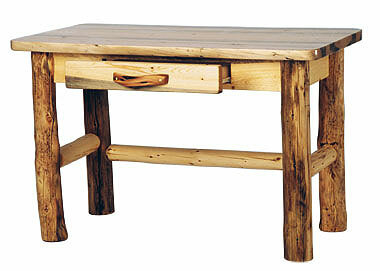 Here are a few samples from our full line of rustic handcrafted office furniture. 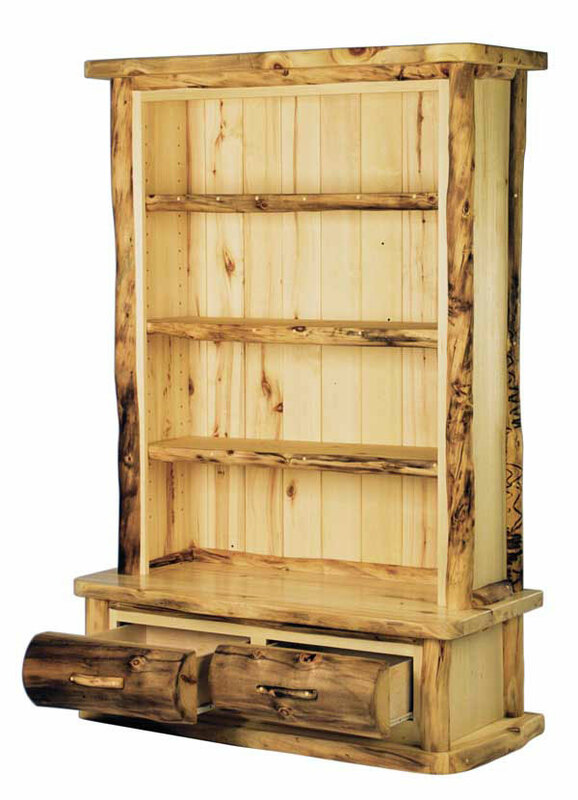 This is a small sampling of our products, to view all of our products see our darker stain option, pine option and custom options, go to our Online PDF Catalogs.